Select postboxes have been decorated with snowflakes. Royal Mail is installing postboxes across the UK that will play traditional Christmas tunes when letters and cards are posted inside. 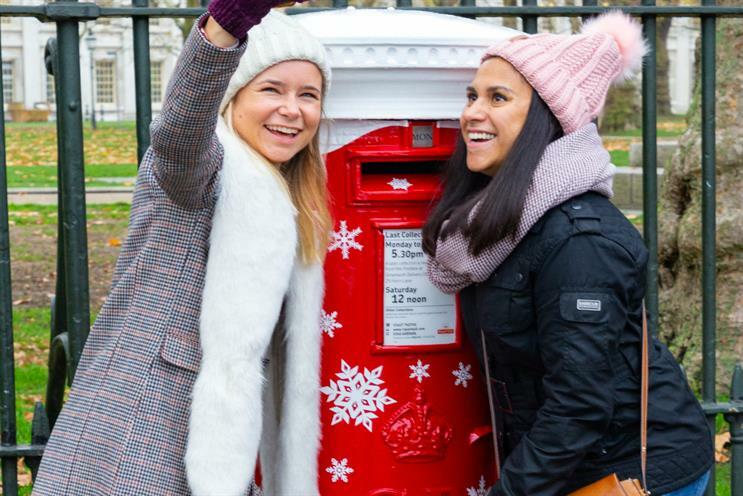 They will be decorated with snowflakes and equipped with sensors that are triggered when post drops inside, playing the sound of sleigh bells or a message from Father Christmas. Launching this week, the postboxes will be in place throughout December. They will be located in Greenwich in London, Queen Street in Cardiff, Wellington Place in Belfast and High Street in Edinburgh. The activation is being managed in-house, with TN Project Management assisting with the installation.